When our clients come to us with a great idea or existing product or service and ask us how they can charge their competition head on in a royal application battle, we often suggest going the native mobile route. However, depending on the product or service, we often extend our platform reach by also suggesting a Cross Platform (Mac, Windows, and Linux) Desktop Application. Applications that you and your team already use such as Slack, Shopify, Nylas Mail, and many more are all Cross Platform Desktop Apps. Companies such as Microsoft, Facebook, and Docker have already created Cross Platform Desktop Applications. Well simply put, every user is different. Individual users may choose to utilize your product or service in their own unique way. Some users prefer a small screen, or perhaps their browser of choice (Chrome, FireFox, Safari, etc), while some users prefer to have Desktop Applications. The point here is that your product or service is most likely not reaching its full user reach potential unless you can effectively cover all of your users devices. Let’s consider a well known chat application called Slack. Nearly every office uses Slack as a number one method of digital communication across their teams. Slack is incredibly intuitive, simple to install, seamless to authenticate. Slack unleashes the power of digital communication by allowing users and teams to create private and public channels, direct messages, historical conversations, and tons of third party integrations to help connect other parts of your applications to Slack. This brings incredible insight around your product or service for everyone to see within Slack. Slack can be used on every device, meaning that if you started a conversation on your laptop and then decided to head out to lunch mid-conversation with your team, you could pick up the conversation in real-time on your mobile device through the Slack mobile app. Best of all, your team wouldn’t even notice that you’ve moved to the Sushi Bar down the street. It’s truly incredible! Does our product or service limit its user reach? Do we know what devices our users use to consume our products or services? Do we have enough internal resources to support desktop applications? Do our competitors have desktop applications? Can we afford desktop applications within our budget? What if we told you and your team that we can create a Cross Platform Desktop Application around your current product or service for less time, money, and resources than your current responsive website budget. In most situations, this is true. We build cross platform desktop applications from the same platform Slack, Atom, Shopify, and many others used. A framework called Electron. 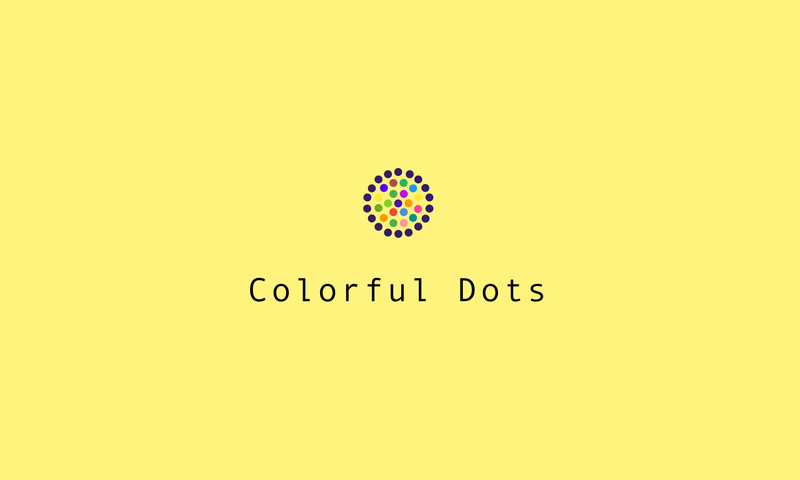 At Colorful Dots, we’ve created several open source frameworks to help us get your new or existing project off the ground quickly. We’ve created one specifically for Cross Platform Desktop Applications we call “Hello Electron”. This framework helps us remove the boilerplate setup that most software agencies would bill you or your company for. This helps us focus primarily on your idea, product or service and removes everything else. We believe in the power of open source technologies. We believe in the power of Cross Platform Desktop Applications. We believe that you and your company could be reaching more users by leveraging these technologies. We believe we can create a rich Cross Platform Desktop experience for you, your company, and your users quickly and effectively.